This article originally appeared in The New York Times on March 9, 2018. Read the original there. OLYMPIA, Wash. — For a few weeks this year, the rarest of things seemed like it was about to occur. 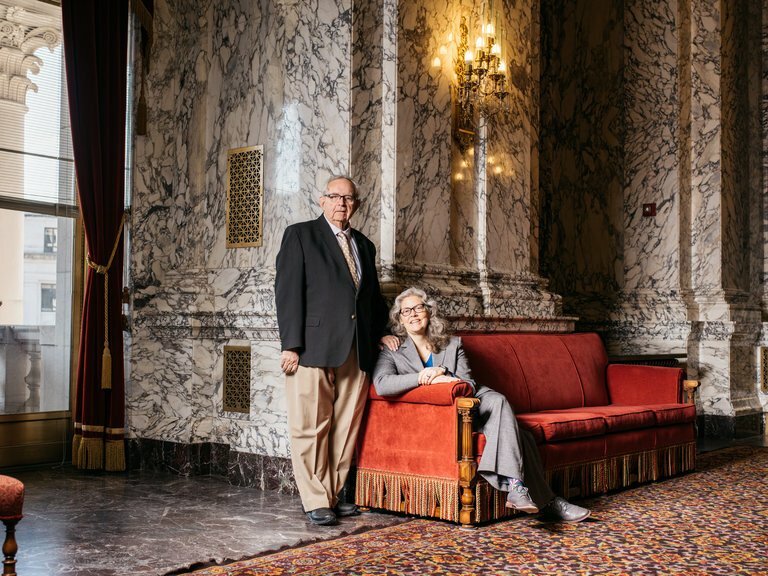 A state, in this case Washington, was working to pass a bill that would institute a new payroll tax to help cover the cost of a much-needed service: long-term care in a nursing home, in a personal residence or elsewhere in the local community. Rarer still: At least a couple of Republicans, including one of the bill’s primary sponsors, supported the tax proposal. Eligible adults were to receive $100 a day from the revenue raised by the tax, for up to 365 days — not typically enough to pay the full cost of nursing home care but potentially helpful in keeping less affluent older people from obliterating their savings and ending up on Medicaid. Alas, it was not meant to be. As the need to finalize the legislation approached, AARP, citing various unanswered questions, came out against it. Many of the questions involved who would qualify as a caregiver and could receive the $100 per day. Which just goes to show that no matter how great the desire to help America’s aging population, figuring out exactly who should get what and under what circumstances is an enormously complicated issue. We have a big problem paying for long-term care in this country, although most people don’t wake up to the challenge until it affects their family directly. One in three people who live until at least 65 will reside in a nursing home at some point, according to the Kaiser Family Foundation. Once they settle in, most will be short on money. Medicaid covers at least part of the bill for 62 percent of people who live in a nursing home. Given that states help pay for Medicaid, legislators are increasingly worried about the growing number of older residents, many of whom don’t even have enough money saved for a comfortable retirement, let alone nursing home bills that can sometimes top $100,000 per year. A coalition of groups in Washington State saw the generational tidal wave crashing, and they got the ear of two state representatives in particular. The mother-in-law of one, Laurie Jinkins, a Democrat, is 92, has dementia and just qualified for Medicaid. The father of the other, Norm Johnson, a Republican, used up much of his savings paying for in-home aides for Mr. Johnson’s mother. The elder Mr. Johnson spent so much on care for his wife that by the time he required care of his own, he, too, wound up on Medicaid. So Ms. Jinkins and Mr. Johnson sponsored a bill calling for a payroll tax on state residents of 0.49 percent, or $22.30 a month on average. (Washington has no state income tax but does have a statewide sales tax.) People who paid into the system over a certain number of years would ultimately become eligible to access the $100-per-day benefit if they could not complete three or more activities of daily living, like dressing or bathing. They could then take that $100 and put it toward in-home care, adult day care, nursing home fees or similar expenses. After 365 days, they would exhaust the benefit. At that point, Medicaid would still be an option. Why would a member of the typically tax-averse Republican Party support such a measure? After all, people are supposed to save for their old age, and they can buy long-term care insurance to protect themselves, too. Mr. Johnson, a former teacher, school counselor and principal, drew on his own life to answer the question. He knows that younger adults might resent the idea of elected officials reaching deeper into citizens’ pockets to pay for benefits that are probably decades away for them. But he said that his experience had afforded him some perspective. When I contacted AARP, I was told that the group had a number of concerns with the bill and had been expressing them all along. Perhaps the thorniest one involved the question of who qualified as a caregiver and how he or she would become eligible to collect to benefit. Eligibility is not in dispute in licensed adult day care centers or nursing homes. But many people prefer to stay in their own homes as long as they can, and in some parts of Washington there are not enough licensed in-home caregivers. That means family members pitch in, often sacrificing their own wages to do so. Everyone in the coalition that supported the bill wanted the people who need care to be able to use the $100-a-day benefit to pay relatives. But not everyone is qualified to provide care, especially if doing so requires lifting a person or treating certain conditions. Would a spouse have to take a 75-hour class at a cost of hundreds of dollars to qualify as a caregiver? If so, was that too much to ask? How best to train a novice? Could family members train for, say, only 15 hours just to learn the specific skills they needed to help a relative? And if in-person training was required, who would care for an ailing spouse in the meantime? “The bill needed too much work, and we had too many questions and not enough answers,” said Cathy MacCaul, AARP’s advocacy director in Washington. Without those answers, AARP would not support the bill as written. And without its support, and with emails arriving from AARP members encouraging “no” votes, lawmakers chose not to move the bill to a full vote. The State Legislature met in a short session this year. Next year, its session will be longer, allowing more time for negotiation. All sides vow to redouble their efforts in the meantime. But the episode is a reminder of just how slowly new financial benefits creep across the country, hopping from state to state as new legislation is passed. Hawaii offers some help to certain caregivers, but the Washington bill would establish the first payroll tax where the proceeds go to long-term care more broadly. It could be the difference between some families spending nearly all of their money and ending up on Medicaid or having something left after an older person’s death. He also offered an olive branch of sorts.